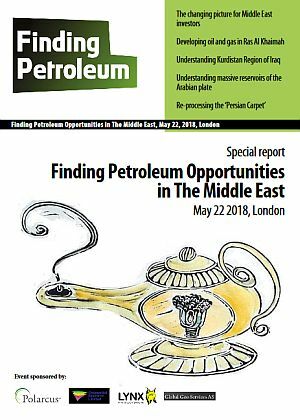 Our Middle East forum this year looked at investment opportunities in the changing market environment, and exploration opportunities in the emirate of Ras al Khaimah, the Kurdistan Region of Iraq, the massive Mishrif, Sarvak and Natih reservoirs (Iraq, Iran, Oman), and the Persian Gulf. Attend to get an overview and update of the biggest opportunities for explorers and investors in the most important region of the world for hydrocarbons. Hugh Ebbutt, director of oil and gas upstream at A T Kearney, will talk about the issues facing investors in Middle East oil and gas industry - with National Oil Companies under local pressure to employ more of their own people rather than work with outside companies - although the technical complexity of projects of their operations is increasing as fields become more mature. Thibaut Burckhart, exploration manager of RAK Gas, a National Oil Company for the emirate of Ras al Khaimah, the 7th emirate of the UAE, will talk about the exploration potential offshore in the emirate. James Wallace, area geophysicist with Polarcus, will discuss Polarcus’ survey data for the region. After coffee, Richard Jones, CEO of Geospatial Research, will discuss the geological opportunities and risks in the Kurdistan Region of Iraq. Andy Horbury, director of Cambridge Carbonates, together with Benoit Vincent, geologist with Cambridge Carbonates, will talk about the Arabian Plate in the Cenomanian era (mid Cretaceous), looking at the massive Mishrif, Sarvak and Natih reservoirs (Iraq, Iran, Oman). Then, Trond Christoffersen, COO of Global Geo Services, with Katya Krylova, sales and marketing director of GGS, will talk about opportunities in the Persian Gulf (offshore Iran), making use of upgrade seismic and new quantitative interpretation methods. Political and demographic pressures, to employ more of their own people and only offer unattractive commercial and fiscal terms, limit the number and scope of effective joint ventures with experienced outside partners. Gas may provide more attractive growth, where there is good market access and prices and terms are attractive enough, for example where there is a shortfall against growing domestic demand. Middle East countries are looking to diversify away from their heavy reliance on oil, before growth in demand for oil slows, as the world moves to lower emitting fuels and renewable energy like solar, which the Middle East has in abundance. But regional and geopolitical rivalries are as intense as ever and cast a long shadow. Hugh has over 30 years of global experience in the upstream energy business, originally as an explorer with BP, then in a range of upstream roles at Chevron and Hess, including deal evaluation, business planning and field development. He has an MBA from LBS. He was a Partner in Arthur D. Little’s Global Energy Practice, based originally in London, and then led ADL’s upstream group in Houston, before moving to CRA International - as a Vice President. He now works with A T Kearney, primarily focused on the Middle East. Before consulting, he worked for five years with Chevron, working in Business Planning, Exploration and Development. He worked on a number of key oil and gas transactions, and in development and exploration with Hess, as it rapidly grew its upstream position in the North Sea, after seven formative years with BP in Exploration - in London, Eakring, Aberdeen, San Francisco and Egypt. He has published articles on the outlook for oil and gas, factors driving supply and demand, resource and technology issues, climate change, upstream strategies, competitive positioning and deals. We help the leading power, oil, natural gas, and utility companies boost top- and bottom-line performance while rapidly adapting to regulation, technology, and environmental concerns. Nestled between the Al-Hajar Mountains and the Arabian Gulf, is the seventh Emirate of United Arab Emirates, Ras Al-Khaimah. A relatively under-exploited region, in terms of seismic exploration. The Ras Al-Khaimah sub-basin contains the continental shelf carbonate sediments moving to complex faulting found in the foreland basin. It falls into the Thamama Group which is one of the largest oil reservoirs in the world. This area has had some exploration and production activity dating back to the 1980s. Two fields have been active: Saleh was one of the main producing gas and condensate wells in UAE. The other, RAK B, has proven oil reserves. There have been a number of surveys offshore Ras Al Khaimah, 2D exploration lines and a 3D survey over each of the main fields, RAK-B and Saleh. The 2017 3D triple source survey was designed to cover the entire width and breadth of the Emirate’s waters, from water depths of 80m up to the coastline’s 15m contour in preparation for a 2018 licensing round, finally unveiling the Emirate’s offshore geological potential. Thibaut gained exposure to a wide spectrum of technical challenges in culturally diverse environments, through postings in the UK, Netherlands, Nigeria, Malaysia (Borneo), Oman, Australia (NWS) and UAE. A high energy professional with a can-do attitude, Thibaut maintains a strong “hands-on” technical expertise and the drive to deliver projects, meeting E&P business objectives, throughout the exploration-appraisal cycle. The mission of RAK Gas is to provide the Emirate of Ras al Khaimah with a consistent and secure supply of energy as well as generate growth and revenues for its government. The Company’s core business is to source and market natural gas. In addition, the Company has gas processing facilities and international portfolio of exploration & production assets. RAK Gas processing facilities are at Khor-Khwair in Ras al Khaimah, where it treats raw gas and strips out the LPG and condensate streams. The LPG is marketed domestically. RAK Gas’s E&P Portfolio includes interests in a number of exploration-stage blocks. It has interests in offshore blocks in Ras al Khaimah as well as having interests in a number of exploration blocks in Africa. Over the last decade, GRL have extensive field experience across the Middle East, including the Zagros, UAE, Oman, and Turkey. In the northern Zagros alone, we have carried out 25 successful field campaigns for 14 companies, covering 40 exploration license blocks over an area of more than 20,000 sq.km., giving us extensive outcrop experience of Cambrian to Pliocene stratigraphy. We have detailed knowledge of structural style throughout the Middle East, and comprehensive understanding of the interplay between regional geodynamics, trap development, and hydrocarbon systems. In applying our understanding of surface geology to help our clients interpret the sub-surface, we have completed our outcrop-scale vector-based mapping of the Zagros, and have constructed over 8,000 km of balanced cross-sections across SE Turkey, Iraq, Iran and The Gulf. Our Zagros-related products also include very extensive, detailed quantitative data to characterise fractured reservoirs, to provide robust inputs for our clients' Discrete Fracture Network models. Benoit Vincent is working as a Consultant Geologist with Cambridge Carbonates Ltd for 2009. He obtained a BSc in the University of Grenoble, followed by a MSc and PhD from the University of Burgundy in Dijon (France) in the field of Sedimentary Geology. After a Post-Doctoral position at the French University he joined the Institut Français du Pétrole (IFP, now IFPEN) in Paris between 2002 and 2008 where he was responsible for the petrography and thin section manufacturing labs. Benoit worked on sedimentology, stratigraphy, and diagenesis of carbonates, as well as on the impact of diagenesis on reservoir properties, mainly in the Middle East. He also participated in projects about CO2 storage and received the DEG (Division of Environmental Geosciences) Best Poster Award at the 2004 AAPG Annual Convention in Dallas. He was employed as expert Geologist in Andra (French National Agency for Radioactive Waste Management) from 2008 to 2009. His main interest is in diagenesis and petrophysics in relationship with sedimentology and stratigraphy, now working all around the world and through the entire Phanerozoic, in carbonate and clastic reservoirs. Katerina Krylova is VP sales and marketing with GGS-Interica. Prior to her current position, she was an account manager at Paradigm Geophysical UK (2012-2015) and an EAME Business Development Manager at CGG (2010-2012). Katerina began her career as a seismic reservoir characterization geophysicist at CGG in 2005. GGS-Interica is a joint venture company which manages and licenses the Persian Carpet 2000 dataset that GGS acquired during 1999-2005. This data set covers the entire Iranian Persian Gulf offshore and Iranian part of the Oman Sea and comprises approximately 100,000 km of multi-client 2D data, 120 wells and 30,000 km of gravity data, all interpreted and available in Kingdom or Petrel workstation formats. To ensure a full-scale re-processing of the PC 2000 data and development of new related products, GGS-Interica has secured a non-transferable PC 2000 license. The joint venture company has started the reprocessing of the entire data in preparation for any offshore Iran bidding. Early results, using the latest demultiple and broadband processing algorithms, show a great improvement in the data which should assist interpretation, AVO analysis, or seismic inversions. Lynx Information Systems provides geophysical and GIS services to the petroleum exploration industry worldwide. Operating since 1989, we offer a full range of services, software solutions and GIS data for data handling and data management in upstream environments.